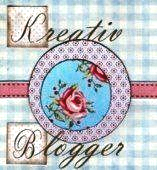 This month I have been given a few awards by some very wonderful bloggers. I would just like to say thank you, so much, for thinking of me, and I would also like to pass these awards on to other bloggers. I'm glad you enjoy my blog, and I enjoy reading all of yours just as much; there are some extremely inspiring blogs out there and it's wonderful of everyone to share the beautiful things that they find! Thank you all for the comments and kind words - it really makes blogging such a pleasant thing to do. Thanks to Roz of Clothes, Cameras, and Coffee for tagging me. I love her blog because she has the most elegant sense of style and she is so gorgeous! Definitely check it out. 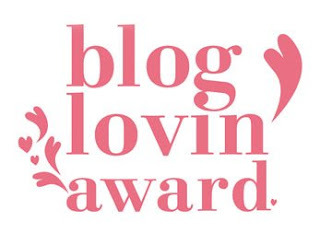 For this award, the blog author is supposed to write 7 interesting things that you may not know about them and then tag 7 other 'kreativ' bloggers. I go to college in the US, but I spent the last year studying abroad in Norwich, England (although I spent the first month living in London). I wound up traveling around England a bit and also went to France, Germany, Ireland, and Sweden. I definitely miss every minute of it! I would really love to be a graphic designer someday, but I am also interested in art history and American cultural studies (it's really interesting to try to observe my culture from an outsider's perspective and a critical eye). Some of my favorite bands/artists are Belle & Sebastian, Nick Drake, The Smiths, Serge Gainsbourg, Beach House, Passion Pit, Bon Iver, Fleet Foxes, Joni Mitchell, and M. Ward. My favorite thing to wear is my leather jacket. I really love the blogging community. Everyone is so kind and positive, and always posts such inspiring things! Thank you so much for reading! I really admire my younger sister, and sometimes look up to her as an older sister. My favorite color is goldenrod yellow. I'm obsessed. This award was given to me by Liss of Daydream Lily and Finie Ramos. Daydream Lily is incredibly inspiring, and Liss posts so many lovely photos and works of art! In fact, I've printed out a lot of the pictures she posts and have taped them up on the wall in my apartment. Finie Ramos also has a beautiful blog. She posts gorgeous photos and takes many lovely pictures of her own! I am going to tag 12 other bloggers. I love what you post! Again, I just wanted to say thank you to all those who read and comment on my posts. You make my day! Congratulations on both the awards. Thanks for your lovely bit you wrote about me. It made me smile. The facts aout you were interesting, so what did you think of London? oh nice to get to know you some more, wow studying in England would of been amazing!! and love your music taste. i love my leather jacket too, i shopped around for ages to find the perfect one. your answers are lovely. thank you so much for including me in your awards. i am very honored! I love your blog so much you know that right? i didnt know you have been in sweden! what did you think? did you think it was too cold? A year abroad sounds like so much fun. Lucky you. 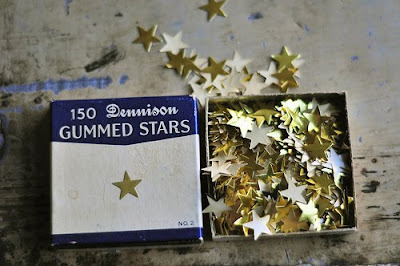 The photograph of the stars is just lovely. Ahh, congratulations and THANK YOU for passing an award on to me, Lauren!